Black bean chili doesn’t get any easier than this. 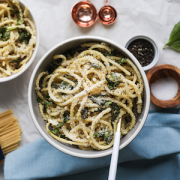 In a few easy steps, you’ll create a dish that is packed with flavor and will keep you satisfied for hours. 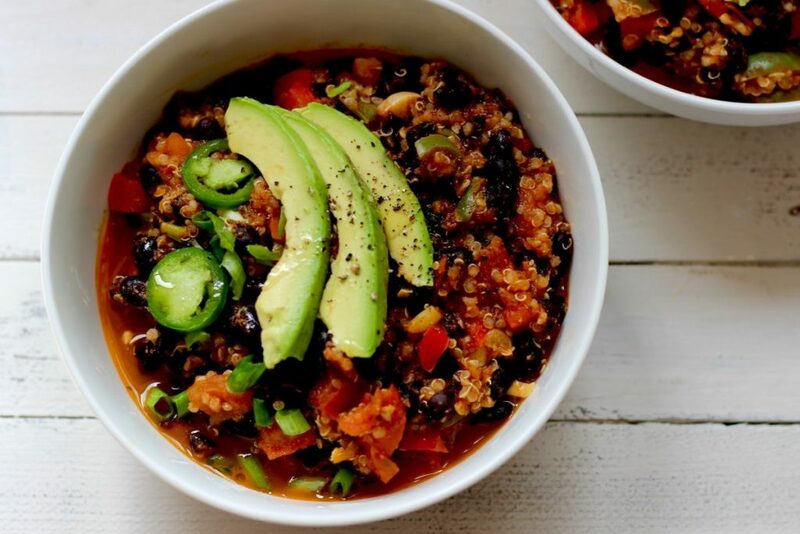 Have you ever added quinoa to your chili? As we’ve mentioned before, quinoa has many benefits! 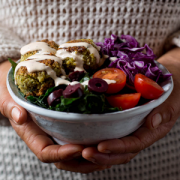 It is a complete, plant-based protein meaning it contains all the essential amino acids and is also an excellent source of manganese and phosphorous. If you’re not a fan of quinoa, you can prepare the chili without it and enjoy it with a side of brown rice or with a few corn tortillas. 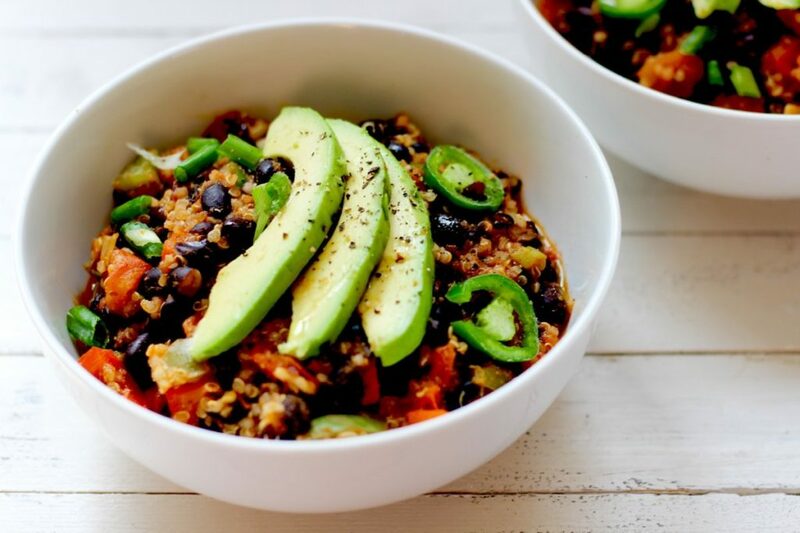 The black beans in this recipe add protein and fiber to help keep you satiated for hours. If using canned beans, make sure you rinse them well to remove all that extra sodium. Start by cooking the quinoa and rinsing your beans, if you’re using canned black beans. Chop up your veggies, sauté them in olive oil over medium heat and add the cumin. 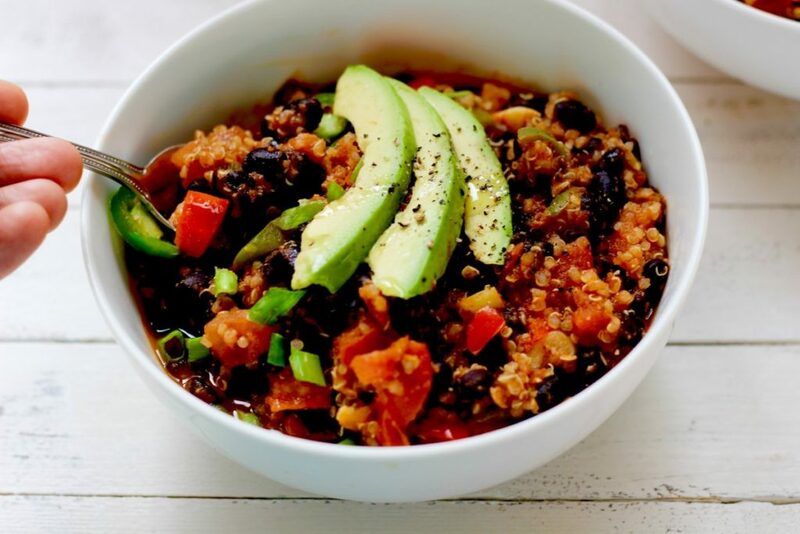 Once that has cooked for a few minutes, you’ll add the tomato sauce, black beans, and quinoa. After about fifteen minutes on low-medium heat, this baby is ready to enjoy! Add your favorite garnish or pair with some whole grain crackers. 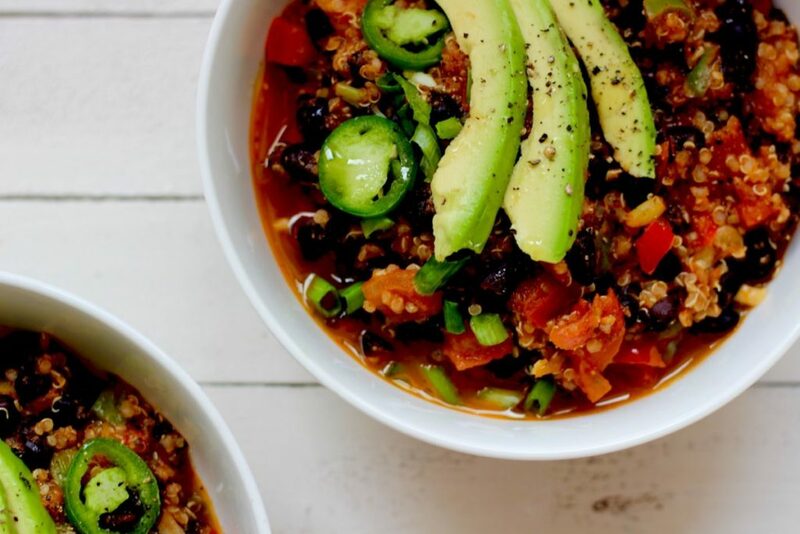 You can even have this black bean chili on its own topped with avocado and fresh cilantro. The options are pretty much endless so have some fun with it. 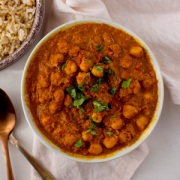 The flavors of the garlic, peppers, cumin, and cayenne will help spice up your night! In a pot, heat 2 tablespoons of olive oil and add chopped peppers, scallions, garlic, tomatoes, and 1 tablespoon of cumin. Cook for 5 minutes. Then add 1 cup of tomato sauce, 3 cups of black beans, and 1 cup of cooked quinoa. Cook for 15 minutes under low-medium heat. Add salt and cayenne pepper to taste! Just made this for the family tonight! We love the flavors. This chili is perfect for the fall and winter seasons.